They have some of the coolest stuff ever and I recently found out that Virgin here in Beirut has some of their products. 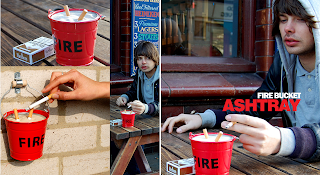 This retro mini fire-bucket ashtray is definitely one of my favourites. Also available at Virgin.